I'm out of town for the next week or so, gently drifting through the English waterways in a narrowboat, and while I have a laptop and a pile of films to watch and write about, I'm going to have to take a break from posting until I get back (in fact, I am writing this post on my phone with my thumbs). 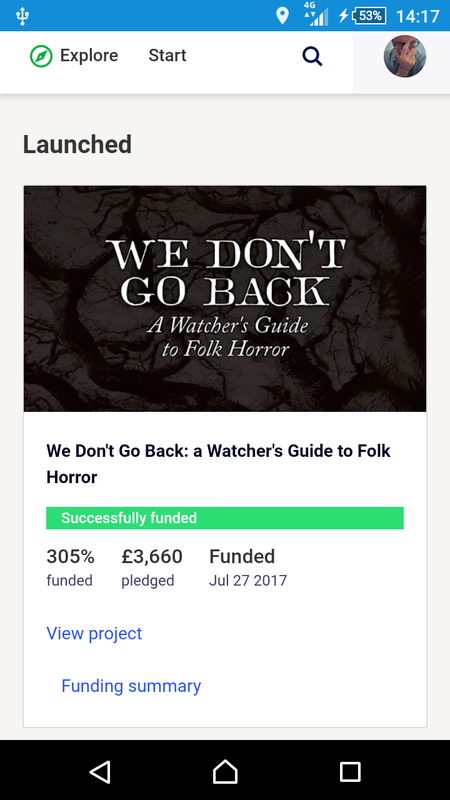 Just after I left, the Kickstarter for We Don't Go Back hit 305% of its goal and then promptly finished, meaning that not only have I funded the main book, but also two companion volumes. So. Have a good couple of weeks, I suppose. 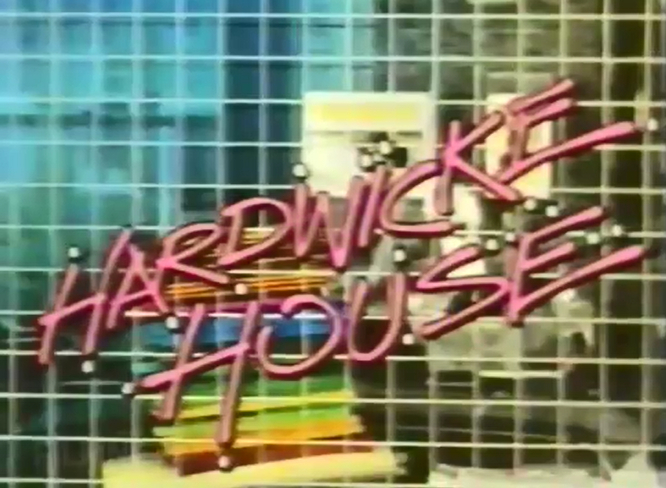 In the meantime, take a look at the piece I did a few days ago about 1987 comedic trainwreck Hardwicke House at Jon's excellent blog Views from a Hill. I suppose my love of genre films and ghost stories, and particularly the films of the 70s and 80s, is, like many of the things I like, because of my dad. Yes, that's right, Steven Spielberg's 1971 made-for-TV debut, Duel, in my folk horror strand. 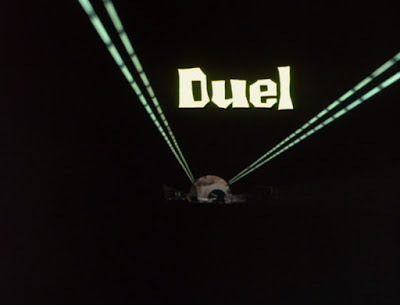 My frequent collaborator Jon Dear (of viewsfromahill.com) contacted me the other week and said, “What do you think about me writing about Duel as a folk horror film?” and I paused for a moment and suddenly I thought, hell, you know, yes it is. Jon makes a strong case for Duel as part of the folk horror canon. Hell, if Carnival of Souls counts, and you know I think it does, Duel certainly does. I know you're sceptical, but go with Jon on this, and see what you think. I wrote this for one friend in particular, you know who you are, but it applies to a bunch of people. It's the season for meltdowns. More than one of the writers and artists and teachers and community workers I know is struggling right now. Whether it's the collapse of a long-standing relationship, or the loss of a loved one, or the reminder of a loss of a loved one, or the everyday difficulties of parenthood or the enduring of a constant siege from mental illness, or more than one of these, or several of these, or something else, my friends, acquaintances and colleagues are hurting right now. And they're losing their faith in their abilities. I'll be honest, I'm in solidarity here. I feel that every day of my life, right now. What good is my work? Who cares about it? What if it fails? Everyone worth anything has these doubts. Maybe this is you right now. And all I have is this: do it anyway. An obscure gem, this, an intelligent horror film with an angle fresh enough that it seems old and familiar. Chad Crawford Kinkle's Jug Face (released on DVD in the UK as The Pit) doesn't hang around: at a slim 75 minutes, it clings tightly to its premise, and if its ending is inevitable, the route Jug Face takes to get there is scattered with grim delights. What could be a box-ticking exercise (and don't get me wrong, Jug Face assiduously ticks all the boxes) is tense, eerie and well-played. The problem with writing about comedy is that not only will you never really communicate what's so funny, but that there's this danger in trying that you'll sap the comedy from the thing you're writing about. 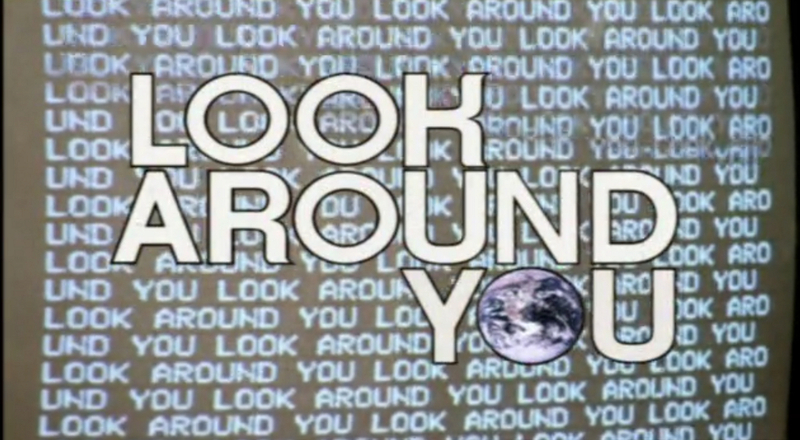 So I suppose that in writing about Look Around You, I'll just be serious. I hope that's all right with you. 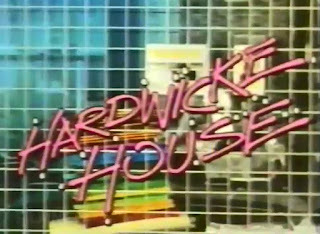 When I was a kid in primary school, the age my own children are now, I used to look forward to the afternoon that the school TV, a monstrous box bearing a faint whiff of heat and ozone, would be wheeled in. This is the second M4 Death Trip podcast, in collaboration with Jon Dear of ViewsFromaHill.com. In this episode, Jon and I discuss Apollo 18, the 2011 found footage horror. Theme music is by The Hare and the Moon. You should go and read Jon's introduction to this episode, by the way. It adds some excellent context. This is that Kickstarter I was talking about in the podcast, if you didn't know. It's quite a lot further on than it was when we recorded. Do feel free to chip in. 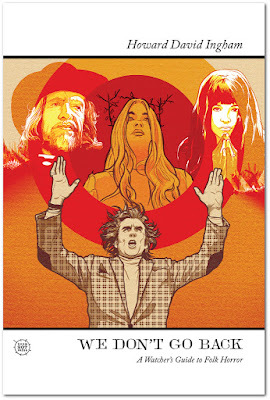 It's only in the last few years that folk horror has been a thing. Hell, it was only last year maybe that I even realised that the sort of film and TV I enjoyed the most even had a name, and that there was this vibrant community dedicated to its aesthetic. The biggest nexus of that has to be Folk Horror Revival, which, as I've written before, has been a tremendous support to me in the writing of this blog. 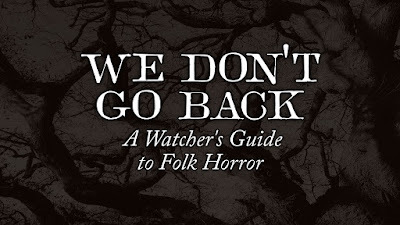 More than half of my readers come from there, and the We Don't Go Back Kickstarter wouldn't have gotten to its goal nearly so swiftly if it weren't for the enthusiastic support of members and admins of that group. Basically, I'm going to owe much of my next month's livelihood to Folk Horror Revival, so here's a reminder that this year FHR will be running events in Edinburgh and Whitby (you can still buy tickets for the Whitby event here) and that Wyrd Harvest Press has published several books, all the profits of which go to wildlife charities. 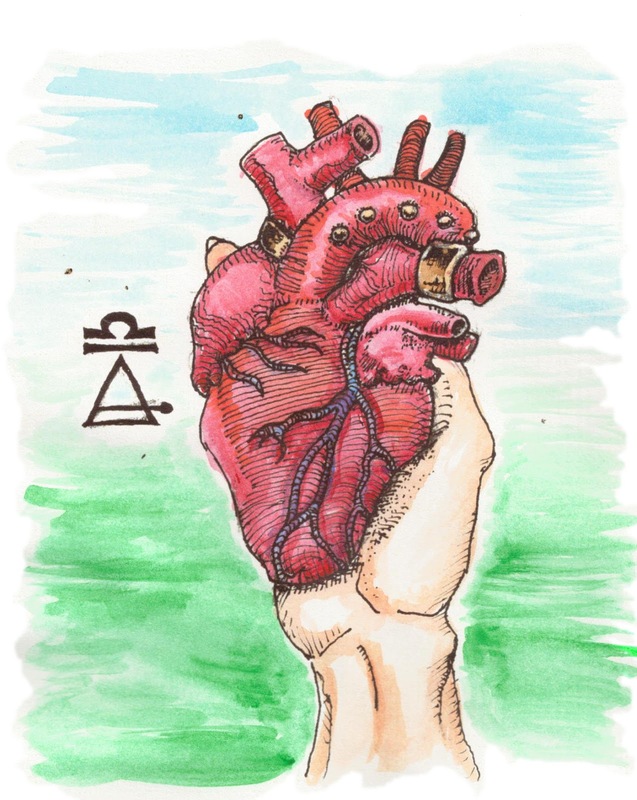 The DIY ethic of small presses and blogs extends to record labels and bands (here is where I mention that Zeuk's first album, which is probably my favourite, is available on Bandcamp now). 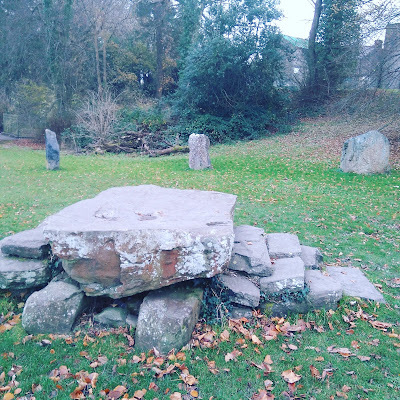 But the aesthetic of folk horror began with film and revived itself with film, and it's no surprise that, in an age of streaming video and crowdfunded movies, that grass roots movement has expressed itself in film (I'm even involved in the making of a short, but more on that as we go on). And there are loads of them out there, testament to enthusiasm and a hands on attitude to to creativity. And I'll be honest, attempting to write about even a fraction of them would eat this project alive, and also, let's be brutally honest, not everything that's homemade is good. 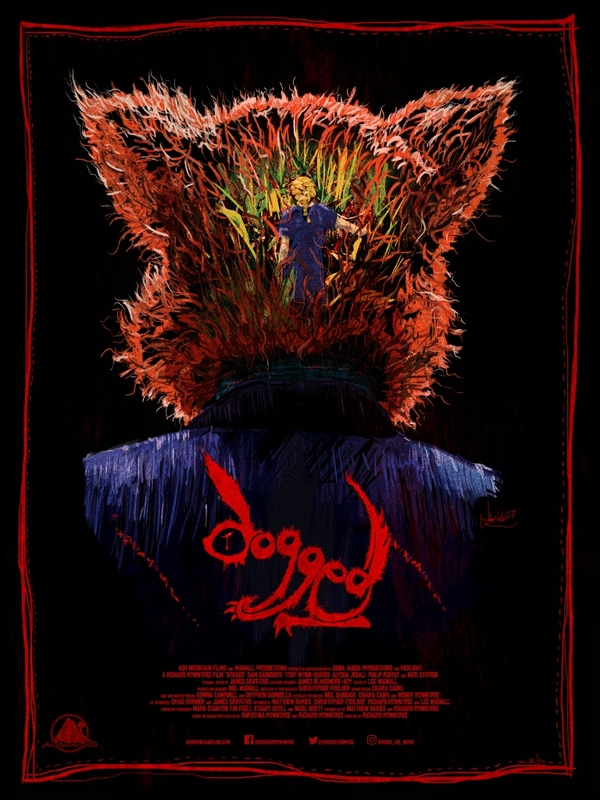 Shortly after launching my Kickstarter, independent filmmaker Richard Rowntree approached me and asked me if I wanted to see his recently crowdfunded film Dogged. 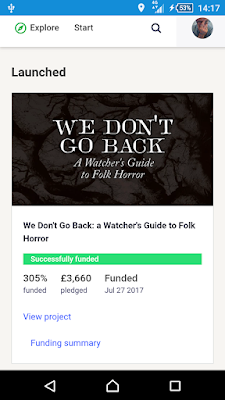 It had funded long before I'd found the community, and had flown right under my radar at the time, and then he backed We Don't Go Back on Kickstarter, so I said, of course I would. 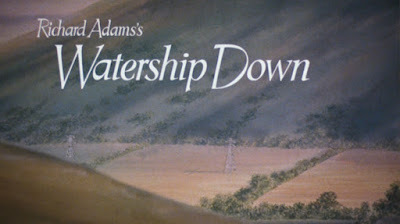 A few months ago, there was this news report about how Channel 5 had gotten a mountain of complaints about having broadcast Watership Down on Easter Sunday, presumably from parents who'd not seen it themselves as kids, or had forgotten it, and who'd sat their adorable moppets in front of what they'd thought was an enchanting fable of bunny life. Crying children ensued. Obviously. And I greeted this story with some bemusement (and amusement), especially when in a social media conversation, an American friend said something like, "What were they thinking, broadcasting that at a time when kids could see it?" 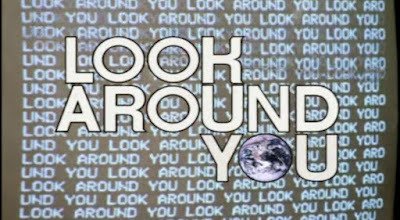 To which my kneejerk response was, but it's a kids' film, it's only ever been broadcast on holiday afternoons since I was a kid, and anyway, the BBFC certified it as a U. My original essay about (The) Blood on Satan's Claw sorely needed a reappraisal on the grounds that my first crack at it amounted to "ahahahahaha yeah this is rubbish". But my first post about Robert Eggers' essential 2015 folk horror The Witch (styled as The VVitch: a New-England Folk Tale) was just perfunctory, for the simple reason that it was the very first post I did and I was still thinking, "YES it will be fun to write about my Halloween film marathon," and then the film marathon took over pretty much the entire blog because the whole film-writing enterprise turned out to be a lot more fun than I expected. More than that, though, it wasn't a very good analysis. 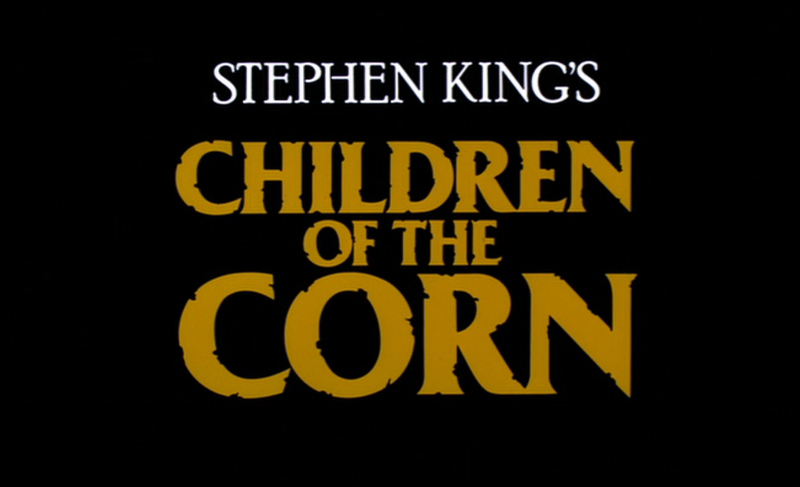 It's got some good lines, but the whole is sorely lacking. But now I'm (probably) (if it funds) going to make this project into a book, so it's time to look at The Witch with some proper depth. By the way, people are starting to say to me, "But you keep going back," to which the answer is, of course I am, that's been the whole bloody point from the beginning. 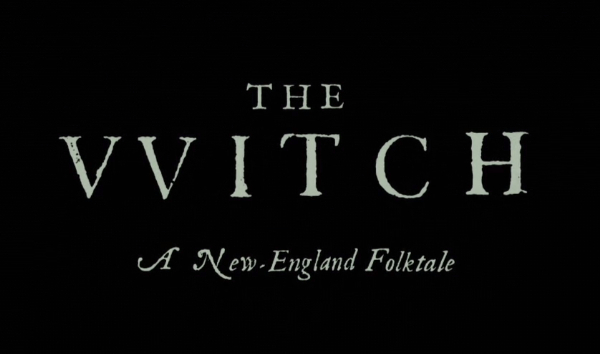 As with all the essays on this site, if I have to I'll give away plot developments of the film, and to talk about The Witch? I have to.